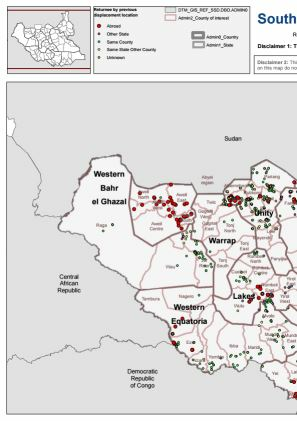 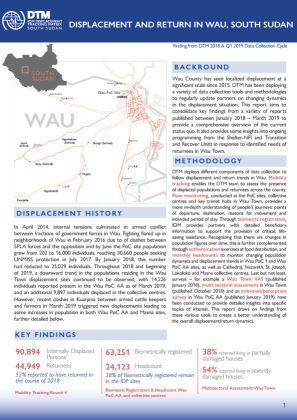 DTM keeps track of movement into and out of Malakal Protection of Civilian (PoC) site. 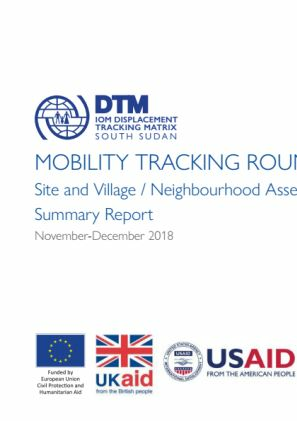 DTM interviewed 3,519 households representing 3,898 individuals from September to November 2018. 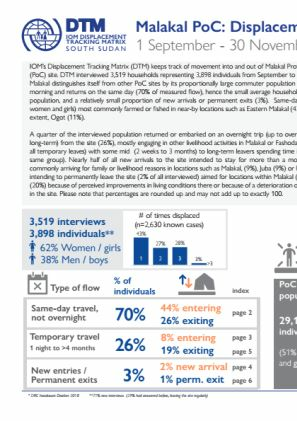 Malakal distinguishes itself from other PoC sites by its proportionally large commuter population that leaves in the morning and returns on the same day (70% of measured flows), hence the small average household size, and a relatively small proportion of new arrivals or permanent exits (3%). 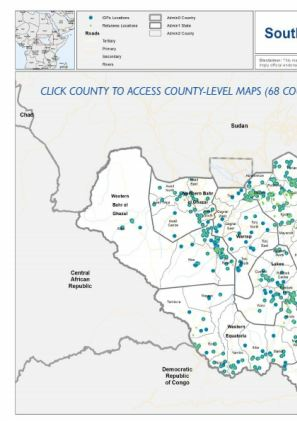 Same-day travellers (62% women and girls) most commonly farmed or fished in nearby locations such as Eastern Malakal (43%) and, to some extent, Ogot (11%).